BETHPAGE, N.Y., June 15, 2009 -- The Northrop Grumman Corporation's (NYSE:NOC) E-2D Advanced Hawkeye has received approval to enter low-rate initial production after successfully completing a Milestone C review. The Acquisition Decision Memorandum (ADM) was signed June 11 by Mr. Ashton Carter, Undersecretary of Defense for Acquisition, Technology and Logistics. This decision confirms that the program has demonstrated it has met all acquisition milestone criteria, including successful completion of an Operational Assessment (OA) test phase, and is poised to enter the production phase. 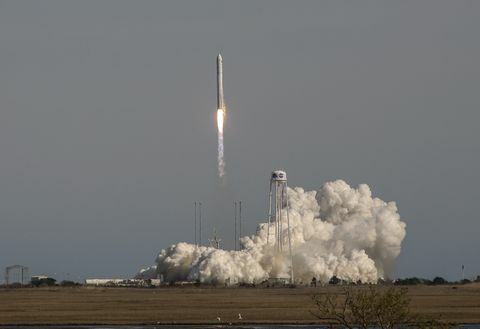 During OA, conducted last fall while flying out of the Northrop Grumman East Coast Manufacturing and Flight Test Center in St. Augustine, Fla., all test objectives were executed on schedule with an aircraft availability rate of over 92 percent. Since entering flight test in August 2007, the program has accumulated more than 1,000 flight hours, over half involving in-flight radar testing. 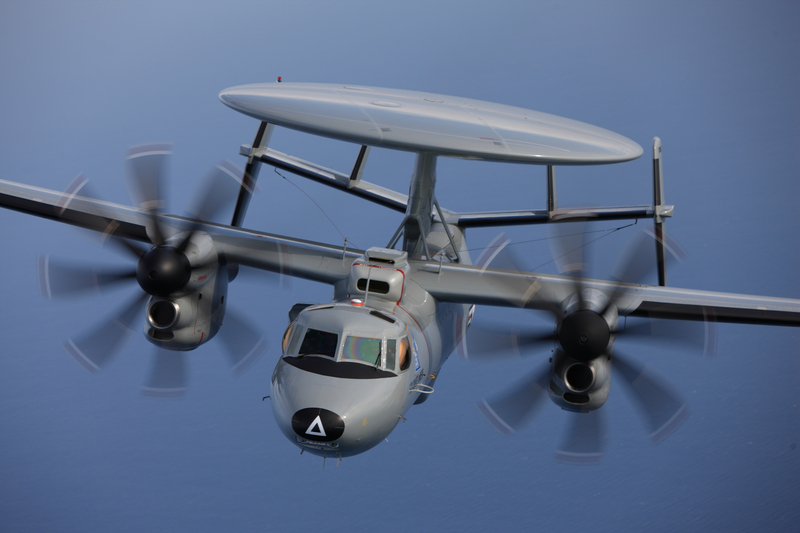 With the successful completion of Milestone C, the E-2D Advanced Hawkeye is on track to enter Operational Evaluation (OPEVAL) in Fiscal Year 2012. "This significant milestone validates the dedication and hard work the joint Advanced Hawkeye team has displayed since entering flight test in August 2007," said Jim Culmo, vice president of Airborne Early Warning and Battle Management Command Control Programs for Northrop Grumman's Aerospace Systems sector. "Throughout the past year, the program has successfully completed a Production Readiness Review, Operational Assessment and a Technology Readiness Assessment. The results of these reviews have validated that the program is mature and meeting all requirements needed to enter OPEVAL. I'm very proud of this team." "The men and women of the E-2D program have worked extremely hard for the past six years to reach this major acquisition milestone and to deliver this advanced capability to the warfighter," said U.S. Navy Capt. Shane Gahagan, Hawkeye Greyhound program manager. "This decision is significant because it gets us one step closer to delivering on a promise made more than six years ago." Culmo added, "The E-2D Advanced Hawkeye program continues to meet or exceed all key performance parameters and E-2D pilot production continues ahead of schedule on the first three aircraft at our East Coast Manufacturing and Flight Test Center in St. Augustine, Fla. We are on track to deliver the first pilot production aircraft in 2010." A key enhancement of the E-2D Advanced Hawkeye is the new AN/APY-9 Radar, designed and built by a radar team led by Lockheed Martin. Representing a two-generational leap in radar technology, the AN/APY-9 can "see" smaller targets and more of them at a greater range than currently fielded radar systems. 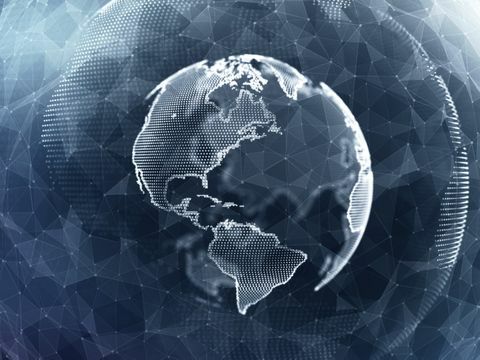 The new rotodome contains an electronically scanned array that provides critically important, continuous, 360-degree scanning, allowing flight operators to focus the radar on select areas of interest. With its solid-state transmitter, the radar provides significant output power increase and improved reliability. The E-2D is capable of synthesizing information from multiple onboard and off-board sensors, making complex tactical decisions and disseminating actionable information to joint forces in a distributed, open-architecture environment. 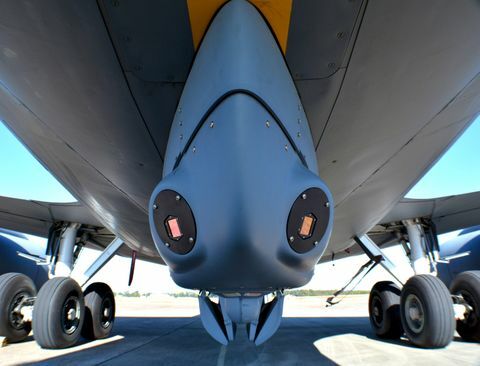 By detecting, tracking and defeating theater air missile defense threats at extended range, the Advanced Hawkeye provides the warfighter with expanded battlespace awareness and the required reaction time to deal with emerging threats quickly and accurately. During the past year, the E-2D has been recognized for its program performance with numerous industry awards, including the Aviation Week Military Laureate Award, the Society of Experimental Test Pilots Leroy Grumman Award, NAVAIR Commander's Award for Program Management and Aviation Week's Program Excellence Achievement Award.